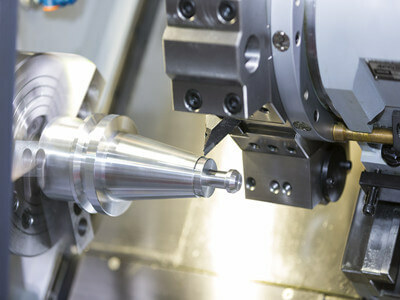 Our CNC turning process produces custom prototypes and end-use production parts as you required. With turning capabilities that exceed that of most other companies, we have bar feeding capacity to 3” diameter, a swing of 25.60”, and can turn parts up to 34” long x 31.5” in diameter. We offer more than 20 plastic and metal materials that are suitable for various part applications and industries. Materials range from plastics like ABS, POM, nylon to aluminum, stainless steel, titanium and walnut, pine, rosewood. Contact us to see how we can provide overall value to your turning needs.